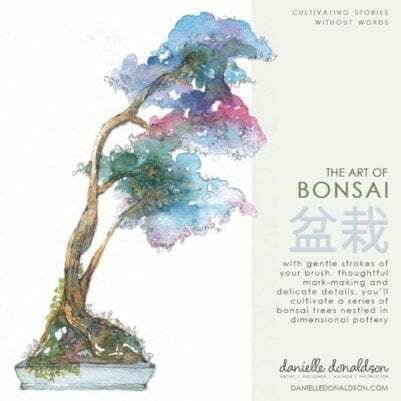 In this project-based class, with gentle strokes of your brush, thoughtful mark-making and delicate details, you’ll cultivate a series of bonsai trees nestled in dimensional pottery Over 4+ hours of video with printable handouts and worksheets to help you through each project! WELCOME | study. prepare. practice and…..